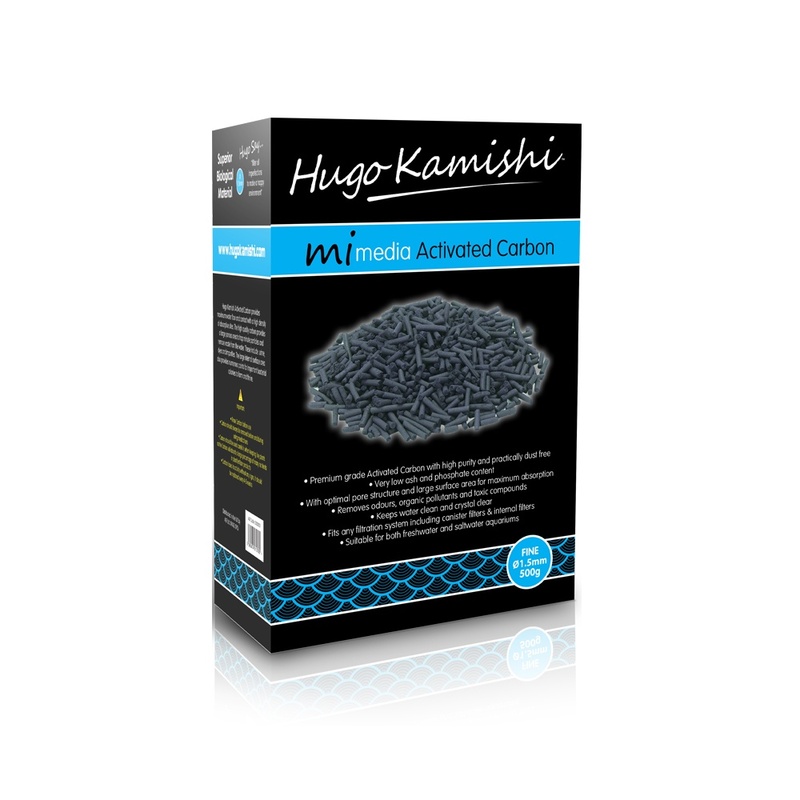 The Hugo kamishi Phosphate Reducing Pad is a rigid polyfiber pad infused with a fast-acting phosphate reducer which will then provide effective mechanical and chemical filtration. 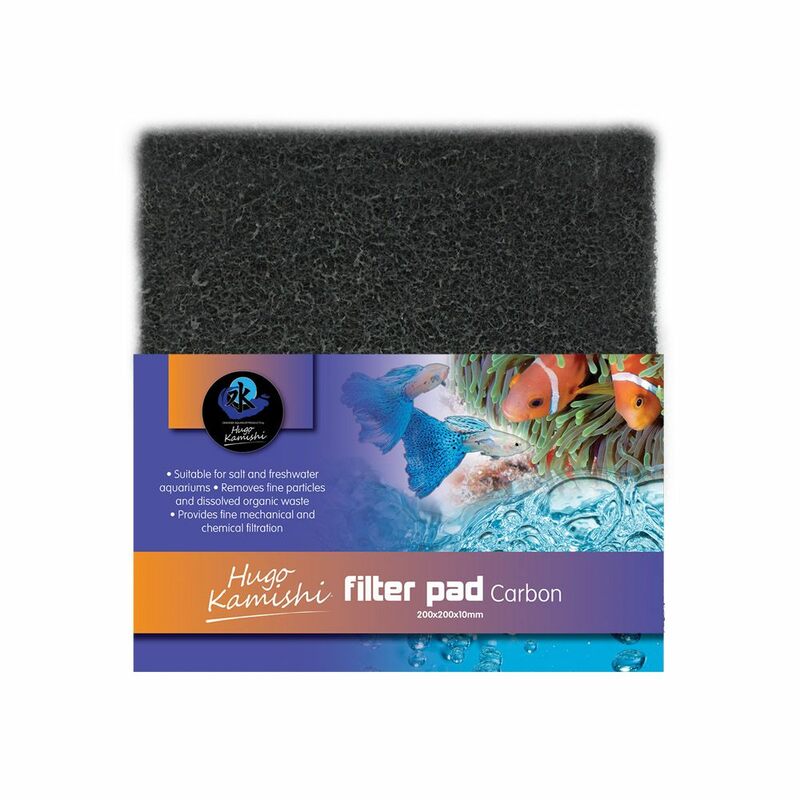 The pad quickly lowers phosphate levels and traps unsightly free-floating debris to improve water quality in freshwater and saltwater aquariums. Phosphates (PO4) are present in every aquarium, even though many aquarium owners aren’t aware that they’re there. If the aquarium is not properly maintained, the phosphate levels will continually rise and contribute to algae growth. 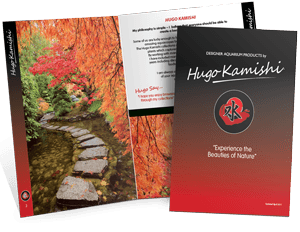 Testing for phosphates and learning about the sources of phosphate in your aquarium water will help you reduce the effects. Phosphate levels are the reason why some aquariums turn green. We would also recommend the use of one of Seachems phosphate removers – please visit www.seachem.co.uk for more information . 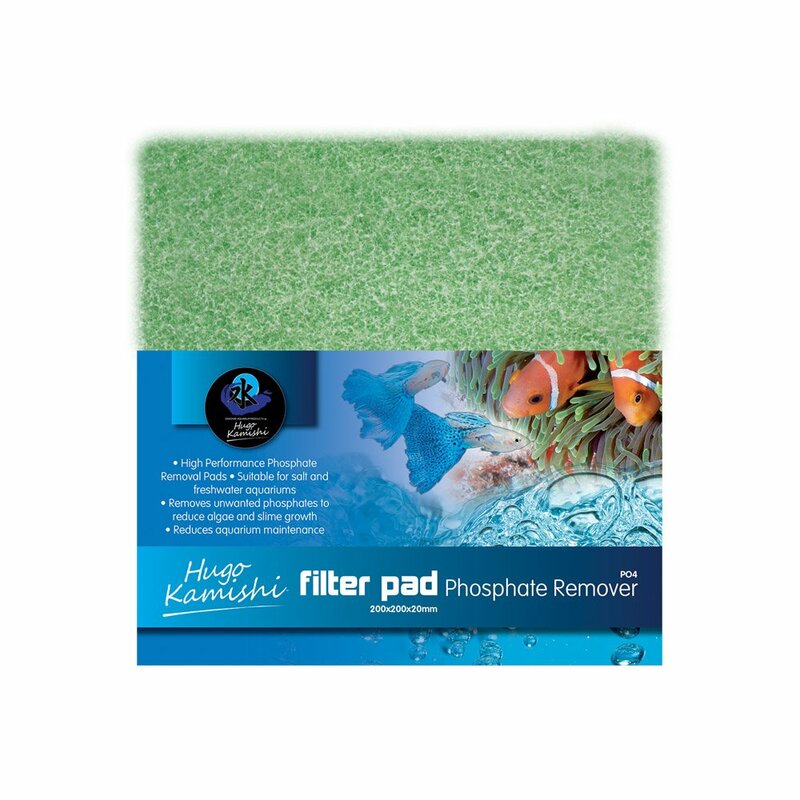 Seachem has many different phosphate removers within their range , Phosguard and Phosnet to name just a couple.The Seachem site offers a list of platinum trained retailers who will be more than happy to advise you on phosphate issues within your aquarium. When you’ve brought the phosphate level down, make sure it stays low. Here are some ways to avoid soaring phosphate levels. Water changes will help keep phosphate levels from rising. Change 10 to 15 fifteen percent weekly, using a low phosphate water source. Keeping the tank free of debris will help avoid phosphate buildup. Vacuum the bottom frequently to remove uneaten food, plant decay and fish waste. 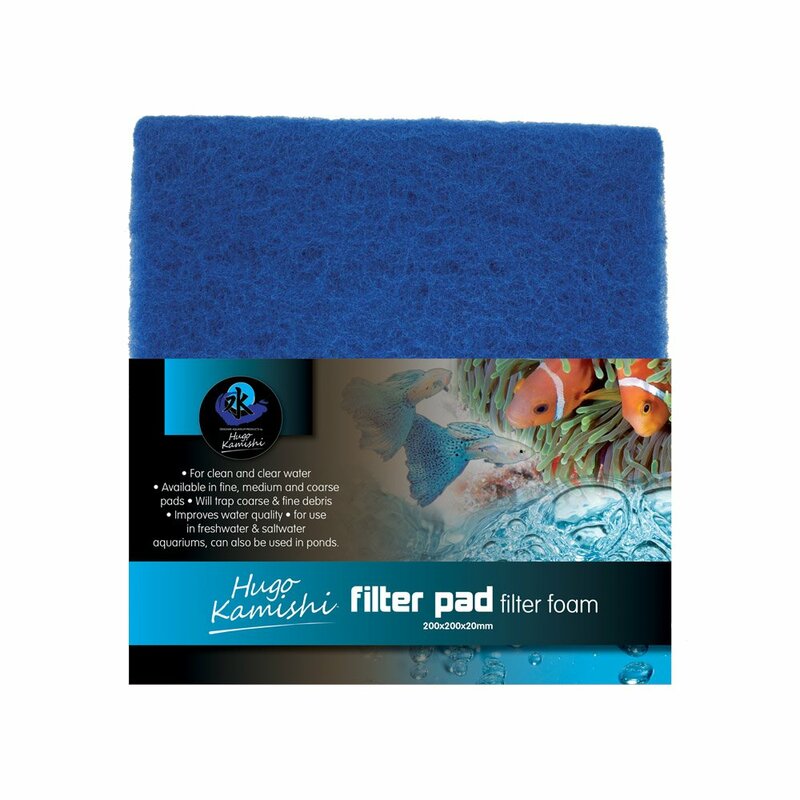 Regularly cleaning debris from the filter will help reduce the sources of phosphates.